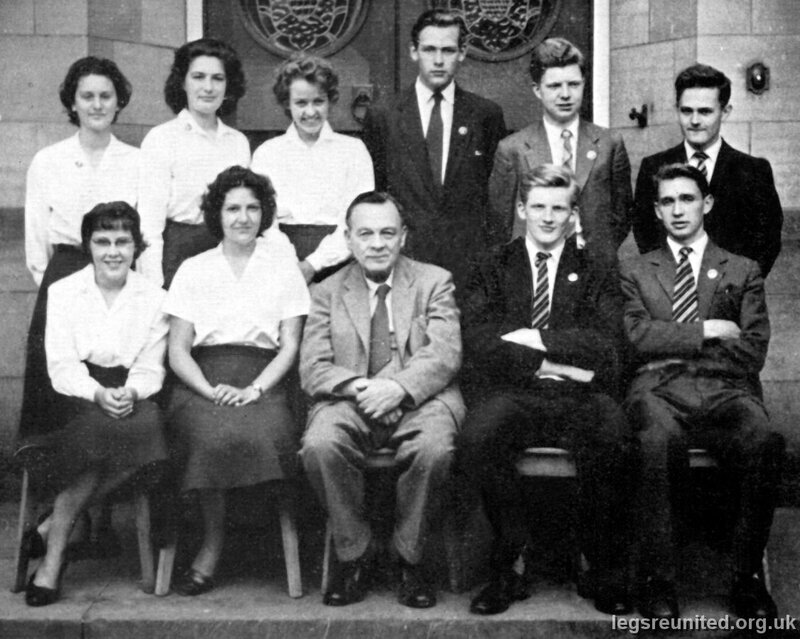 PREFECTS 1958-59 with Mr Crompton. BACK ROW: Joyce Stimpson, Patricia Woodrow, Sandra McDonald, J K Thorpe, P Tindale, R Stevenson. FRONT ROW: Jennifer Hoyle, Patricia M Smith, Micheal Edmond, M Radford. Photo from 'The Gossamer' supplied by Steve Webb.